This is China Change’s second profile of Guo Feixiong. Read the one by Xiao Shu. 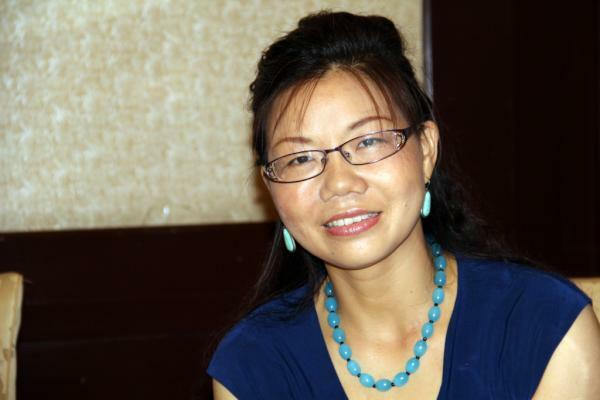 On August 8, 2013, Guangzhou-based rights activist Guo Feixiong (郭飞雄, a.k.a. Yang Maodong) disappeared. Ten days later following a sustained uproar on social media, his sister finally confirmed his criminal detention upon receiving a notice of such from the Chinese police for allegedly “assembling a crowd to disrupt order in a public place.” Assembling a crowd? Disrupting order? Where? People familiar with Guo Feixiong wondered, including myself. His lawyer at that time, Sui Muqing (隋牧青), explained: the allegation has to do with street demonstrations in support of the Southern Weekend at the beginning of the year. Before him, in Beijing, starting that spring, the New Citizens Movement participants, including Dr. Xu Zhiyong and lawyer Ding Jiaxi, had been arrested and similarly charged for unfurling banners and giving speeches on street calling for government officials to disclose their assets and for China to ratify the International Covenant on Civil and Political Rights (ICCPR). The arrest of Guo Feixiong was part of the ongoing nation-wide crackdown on politically active citizens who had sought to exercise their rights. Guo Feixiong was indicted on June 19, 2014, on the same charges for his role in the Southern Weekend protests and other street demonstrations, and his trial is expected soon. If the trials of Xu Zhiyong, Ding Jiaxi, Zhao Changqing, Liu Ping, and many more over the last a few months are any indication, Guo Feixiong will be found “guilty” and given a harsh sentence, I fear. “All we want is to replace the village officials.” Taishi village in Fanyu, Guangdong (广东番禺太石村）in September 2005, a scene that would become all too familiar across China in the coming years. Click to enlarge. with an assortment of lawyers, journalists, and scholars in one of the earliest incidents that ushered in the rights movement in China. At the time he had already participated and worked with rights lawyers in a number of cases defending rights and freedoms, such as the cases of Cai Zhuohua “illegally” printing Bibles and the Shaanxi private oil rigs. As a philosophy student at East China Normal University in Shanghai, he was an active leader in student democracy movement in 1986 and again in 1989. In September 2005, he was criminally detained by Guangzhou Fanyu Public Security Bureau, and in December was released after the prosecutors dropped the case. He was one of the 14 Persons of the Year of Yazhou Weekly (HK), along with Gao Zhisheng (高智晟), Xu Zhiyong (许志永), Teng Biao (滕彪), Fan Yafeng (范亚峰), Chen Guangcheng (陈光诚), Pu Zhiqiang (浦志强), Li Heping (李和平) and six others. In September 2006, Guo Feixiong was arrested for rallying support for lawyer Gao Zhisheng who had been arrested a month earlier for his defense of Falungong practitioners and his condemnation of atrocities against them. The horrendous tortures of Gao Zhisheng have been well documented. Guo Feixiong was tortured nearly as badly. When he was convicted of “the crime of illegally operating a business,” in a trial that had no physical evidence but statements obtained through coercion, was sentenced to five years in prison on November 12, 2007. He described these tortures in his self-defense to the court: In Guangzhou First Detention Center, he was interrogated for 13 consecutive days and nights and prevented from sleeping; he was put in shackles for over 100 days, and for 42 days, he was tied to a wooden bed with hands and feet cuffed to it so that he could not bend his body. In the secret detention facility in Shenyang, he was beaten savagely by the police covering his head with a black hood; he was put in the infamous “tiger bench” (老虎凳) for 4 hours; his manhood was shocked by police using high-voltage electric baton, and, unable to endure it, he attempted to end his life by thrusting toward a glassed window; he was put in the same cell with inmates on death-row and, when an murderer threatened to pluck his eyeballs out, he broke a window and defended himself with broken glass. Free of bitterness (I don’t know how he did it), he began picking up where he had left and catching up, while living alone in Guangzhou. His wife and daughter left China during his imprisonment to seek asylum in the U. S.
The first time I worked with Feixiong was on the Li Wangyang case. Li Wangyang was a labor activist in Shaoyang, Hunan province (湖南邵阳), during the 1989 democracy movement across pretty China. Li Wangyang had served two prison terms and one labor-camp sentence totaling twenty-one years on charges of counterrevolutionary propaganda, incitement, and subversion. He lost both his sight and hearing and almost all of his teeth as a result of torture endured in prison. On June 6, 2012, one year after his latest release from prison and four days after a Hong Kong media outlet broadcast an interview of him in commemoration of the Tiananmen Movement anniversary, he was found “hanged” in a hospital ward in his hometown. Li Wangyang’s death outraged the activist circle and touched off a massive protest in Hong Kong. Feixiong and I worked on a statement calling for rights lawyers and legal scholars to form a legal support team and to demand an investigation and justice. 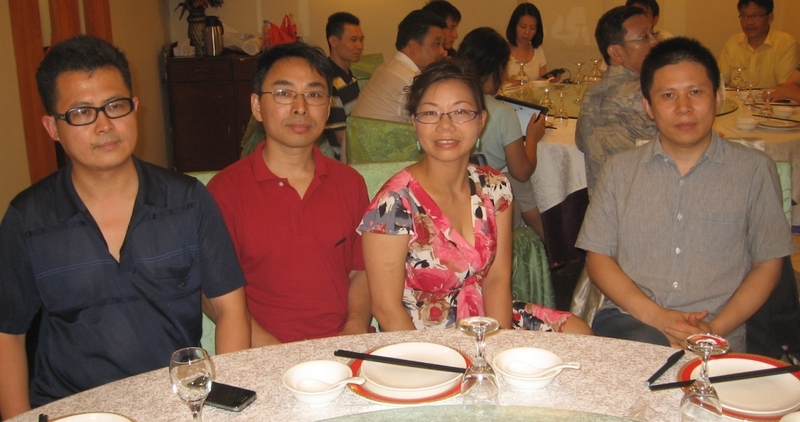 From left to right: Guo Feixiong, Yang Zili, the author, and Xu Zhiyong in the summer of 2012 in a dinner gathering in Beijing. At the end of July, 2012, Feixiong visited Beijing and we met almost every day at different gatherings. He met with friends old and new, veteran dissidents and young bloods, rights lawyers and activists, scholars and artists. He talked about cooperation and networking. He had his eyes on building a connected citizen block across professions and geographic barriers. I think that was the drive behind his Beijing trip. Not surprisingly, everywhere we were, whether outside the home of Mr. Hu Shigen (胡石根), with whom Feixiong stayed, or inside a restaurant, or leaving 798 art district, there were security police around or trailing behind us. One time, with Hu Jia behind the wheel, we shook off the vehicle following us at an intersection, unloaded Feixiong who quickly hid behind a billboard at a bus station, and continued driving to lead the security police away. You only see scenes like this in a movie, but this was on the streets in Beijing. Finally they kidnapped Feixiong to stop him. Midday On August 2nd, Zhao Changqing, who is serving a two years and six months prison term for being a key figure in the New Citizens Movement, told me that Feixiong had been taken away by the police and could not be reached by phone. The next morning I finally got hold of Feixiong. He was in police custody for 13 hours through three transfers: from the neighborhood police station near Mr. Hu’s home to Beijing security police to Guangzhou security police and finally to his neighborhood police station. Later that day, having managed to slip past surveillance he boarded a train to Beijing as though in a contest of will with the security police. Back in Beijing, he visited the Great Wall in Badaling (八达岭长城) and, a month later, he sent friends a photo of him on the Great Wall taken by a tourist. “I want to send you the most recent photo of me in case I am detained again,” he wrote. Guo Feixiong on the Great Wall, Badaling, Beijing, in August 2012. All of our efforts, of course, point to the ultimate question: It is difficult and futile to plan a good tree in poisoned soil, and in China, what needs to be changed is the soil itself. While battles still have to be fought one at a time, Feixiong initiated the campaign to demand the ratification of the International Covenant on Civil and Political Rights (ICCPR) by the Chinese National People’s Congress. China signed the ICCPR in 1998 as it bid for WTO entry but has never ratified it. Feixiong didn’t seem to have foreseen his own arrest in August, 2013. Or maybe he did, taking it as a close possibility on any given day. His two crimes, according the indictment whose crudeness and ludicrousness the Chinese authorities are not shy from showing to the rest of the civilized world, had to do with protests during the Southern Weekend incident, the street demonstration for the ratification of ICCPR, and asset disclosure by officials. Everyone knows Guo Feixiong is fierce and indomitable. When he was detained in 2005 in connection to his work in providing legal training to Taishi villagers, he staged a hunger strike for 59 days in protest. In Meizhou prison where he started to serve the five-year sentence in 2007, he was on a hunger strike for 75 days demanding political reform from the Chinese government. He again was on a hunger strike for 25 days protesting his illegal detention which he believed was for no other reason but to prevent him from continuing his activism as well as being a sustained reprisal for his role in China’s rights movement. Everyone knows he has been a doer, and has made profound contributions to the development of civil society in China over the last decade or so. Fexiong’s arrest and indictment must be a cruel awakening. He will be tried soon, and in all likelihood, he will be “convicted” and locked up in jail again as they did to the New Citizens Movement activists in Beijing and the Xinyu Three and more in Hefei, Chibi, Zhengzhou and those elsewhere waiting to be tried. Gao Zhisheng around 2005. Click to enlarge. For much of the past eight years his friend Gao Zhisheng has lost his freedom and suffered unspeakable torture and spent the last two years and eight months in the remote Shaya prison in Xiangjiang. His friend Gao Zhisheng due to be released on August 7, but Feixiong is again in jail facing trial. Such is China’s political reality, and the history of China’s rights movement in a nut shell. It is true that people’s awareness of, and demand for, rights have grown tremendously over the last decade, but precisely because of it, the economically strengthened dictatorship in China is suppressing such demand with unprecedented resources and harshness. The two forces are tearing China apart. They can put Guo Feixiongs and Xu Zhiyongs in jail, but they will not stop this ever expanding divide. News brought back from lawyers’ meetings with Feixiong is worrisome. He is suffering from joint pains and general weakness. His sister, a MD, said a hunger strike caused his health to deteriorate rapidly and the prison diet and living conditions don’t help. I would add that, from case after case we know that the Chinese authorities have destroyed the physical and mental health of many politically prisoners. Last July, days before being secretly detained, he asked me to “please help call for attention” to his case should he be in trouble again. My heart was broken. I have told his stories to everyone and anyone I can, and I have prayed for him. Here I am, writing what I know of him in the hope that more people will get to know Guo Feixiong, and more people will speak out and do what they can to demand his freedom. Too often we tend to recognize and admire the heroes when they are gone, but we must realize that sometimes they live right in our midst. I think Feixiong is such a person and we must cherish him here and now. Xiao Guozhen (肖国珍), born in 1972, is a Beijing-based lawyer from Hunan. She is a graduate of the University of International Business and Economics School of Law in Beijing. Because of her rights defense-related work, she has been subjected to police surveillance, threats, and unlawful restriction of personal freedom. She is currently a fellow at the National Endowment for Democracy. By China Change in Human Rights & Civil Rights, Interviews, Political Transition on July 23, 2014 . In a partial repost of the Telegraph story, USA News also makes a link to this profile of Guo Feixiong.